Mintable allows you to automatically populate transactional data from your financial institutions into a Google Sheet for analysis and visualization. 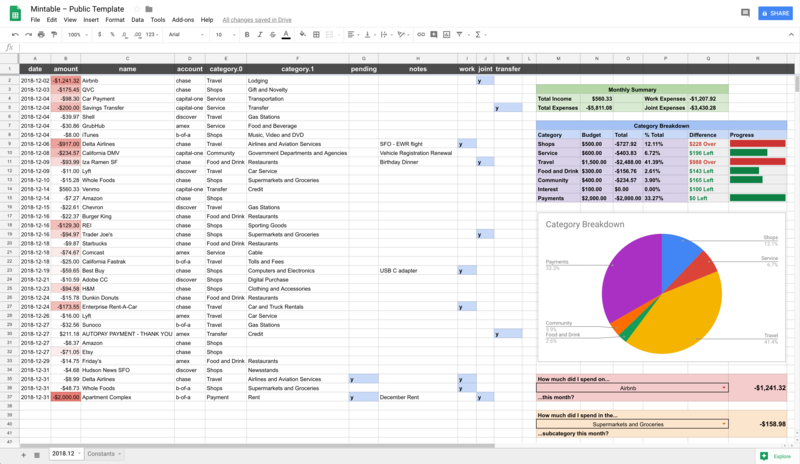 You create a “template” Google Sheet containing all the formulas and calculations you want to view on top of your transactions. You use Mintable (which uses the Plaid and Google Sheets APIs) to connect your financial institutions to that sheet and populate transactions as they update. Each month, Mintable will use the current month’s sheet as the “base” for the next month, keeping all the formatting and calculations on top of your data intact.